LONDON (ICIS)--The European titanium dioxide (TiO2) market’s upward price momentum is continuing into the first quarter (Q1), with early settlements showing increases of €100/tonne and slightly above on the back of underlying supply limitations. 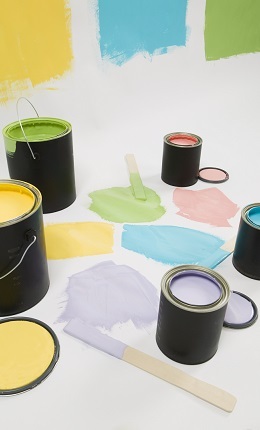 Some Q1 contract business has been concluded with increases of €100-130/tonne, according to buying and reselling sources from the paints and plastics sectors. A few buyers acknowledged that there was little room to manoeuvre in their Q1 price discussions due to supply-related reasons. Underlying supply flexibility is restricted, particularly for specialty grades such as printing inks, due to the ongoing extended output disruption at Venator’s Pori plant in Finland following a fire early in the year. There is also ongoing talk about producers’ ongoing low inventory levels. A buyer from the downstream paints sector said it was discussing its annual contract requirements for 2018, facing quantity cuts from its main suppliers compared to last year, but added it expects to cover the missing volumes in Europe with Asian imports. The main downstream paints and plastics sectors are in low season during the winter and this has led to some easing in supply for certain grades over the past month. However, there has been increasing pre-buying activity this week, despite year-end working capital considerations, amid the firmer tendency for Q1. This pre-buying could have a knock-on effect on supply, according to some sources. Some sources have pointed to higher-than-expected demand, when compared to last year, suggesting it could make it difficult for suppliers to replenish their stock levels. Price rises of €100-175/tonne are being discussed for the first quarter, depending on supplier, grade and whether it is chloride- or sulphate-based product. Buyers, however, are hopeful that import availability from Asia, as well as volume leverage, depending on customer size and downstream affordability concerns, will moderate price increases in Q1. European Q4 TiO2 contract prices were assessed at €2.74-2.95/kilogram (kg), up by €0.10-0.15/kg from the previous quarter. Expectations for higher prices also came from reselling sources, with one noting that price rises of €50/tonne were likely in January amid limited supply flexibility. A reseller went on to say that while indications for February and March were not yet concrete, further price rises were likely during the first quarter, based on the expected pre-production for the paints high season. Aside from freely negotiated contract business, some buyers have talked of the possibility of formula and/or fixed prices in certain cases for 2018. However, this was not confirmed on the sell-side and it was not representative of a general trend in the market. TiO2 is used as a white powder pigment in products such as paints, coatings, plastics, paper, inks, fibres, food and cosmetics.